On the hunt for the perfect venue for your Christmas party this year? We’ve got you covered. From industrial warehouse spaces to intriguing centrally located private houses, take note from us this festive season and we’ll ensure you have a Christmas party to remember – that’s if we cater too! First up on our hot list is a fairly new contender to the venue list but it definitely offers something that’s a little out of the ordinary. Amber Lakes situated in Wraysbury, just a stone’s throw from central London, is set within 450 acres (including a 120-acre lake!) of private reserve and offers a breathtaking backdrop for any event. From sit down dinners to themed parties, The Lodge at Amber Lakes is dressed to suit just about any festive celebration and can quite easily be adapted into a theme of your choice. Mark the Christmas season in style at Loft Studios. With 5 interlinking spaces and 2 large secluded courtyards all available for event hire, the options at this refurbished Victorian warehouse are endless. As Loft Studios’ resident in-house caterer, our catering service never fails to provide a deliciously memorable evening. Whether you’re planning a formal sit-down evening meal, a street-food filled courtyard or even a canape reception, we’ll be on hand to cater for your every need. Take a step back in time this Christmas and host your party at Charles Dickens’ London home. This gorgeous Georgian Townhouse provides the perfect setting for an atmospheric dinner, elegant drinks reception or private corporate event. A new addition to the London event scene this season, CANVAS is causing quite a stir. Situated on the top floor of Harvey Nichols Knightsbridge. This venue is is a dry hire venue with luxury pedigree! 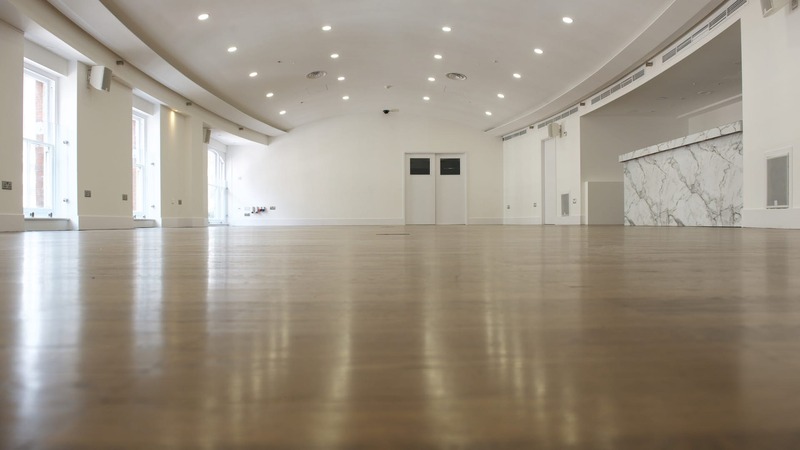 Arranged over two floors, Brixton East is situated in the heart of Brixton and is an excellent dry hire space for parties and events. The simplistic character of this warehouse venue allows you to make it your own and go to town with your Christmas theming. For further venue inspiration, check out our favourites here.